Pramoedya Ananta Toer was born in the Central Javan town of Blora in 1925. Coming from an educated, upper class Javanese family with nationalistic leanings, he was reading newspapers in Javanese (his native language), Malay, and Dutch by the time he was eight. He began writing short stories in elementary school and by 1947 was being published in Indonesian literary journals. After World War II, Indonesia sought independence, but the Dutch, who had been kicked out of the archipelago by Japan, returned and tried to reimpose colonial government. 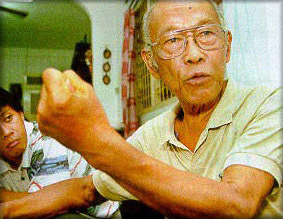 In 1947, Pramoedya joined the Indonesian resistance against the Dutch. He was captured and imprisoned for two years. After the Dutch withdrew and Indonesia moved to independence in 1949, Pramoedya became a renowned writer. In the 1950s, political and economic paralysis gripped the country under the increasingly autocratic rule of Indonesia’s president Sukarno. He sought to check the power of the military and Islamic groups with a growing leftist movement, mainly the Indonesian Communist Party (PKI). Calling for an Indonesian nationalism based on support from the masses, Sukarno was seen by many as tipping the country to the left and severely damaging its economy. In 1956, after a visit to Peking, Pramoedya became a leading figure in cultural and intellectual leftist organizations under the PKI. (See M.C. Richlefs, A History of Modern Indonesia since c.1300, 2nd ed. Stanford University Press, 1993, p. 259.) He began working for leftist/Marxist periodicals. Over the next few years, these organizations launched campaigns to purge the country of intellectual voices that were not leftist. In the early 1960s political and economic turmoil, accompanied by violence, hardened the lines between the PKI on one side and the military and major Islamic organizations on the other. In October 1965, a group of leftist officers, kidnapping and murdering six of the military’s top generals, announced a coup d’état. The coup attempt quickly fell apart, with the army’s General Suharto emerging as the leader loyal to the state. While the role of the PKI in the coup has been hotly debated, at the time it was quickly blamed, and the military took immediate steps to suppress it across the country. This campaign ignited a prolonged purge of communists and their sympathizers throughout the country. As many as 500,000 people were killed in the purge, and many more were rounded up, as was Pramoedya. Eventually Sukarno was shunted to the side, and Suharto took over control of the country, maintaining autocratic control, with support of the military, until 1998. Suharto, under his New Order regime, pinned his legitimacy on keeping the nation safe from communist threat. As long as he was leader, the government emphasized its anti-communist credentials and went after what it deemed were leftist threats to the country. For four years Pramoedya languished in Jakarta prisons, then with twelve thousand others, he was shipped off to the isolated prison colony close to Buru Island. He stayed there for ten years. Released in 1979, he was put under house arrest in Jakarta until 1992. Like other Indonesians jailed in the aftermath of the 1965 coup attempt, he was never informed of any charges against him and has said that the reason for his arrest and exile was a mystery to him. (See Pramoedya Ananta Toer, The Mute’s Soliloquy, New York: Penguin, 2000, p. 3) The books of the Buru Quartet began to be published in 1980 but were quickly banned in Indonesia until after the fall of Suharto. After his release, he was awarded several international awards; yet he remained a controversial figure in Indonesia due to his leftist associations and role in squelching freedom to publish in the early 1960’s. Pramoedya died in Jakarta in 2006.